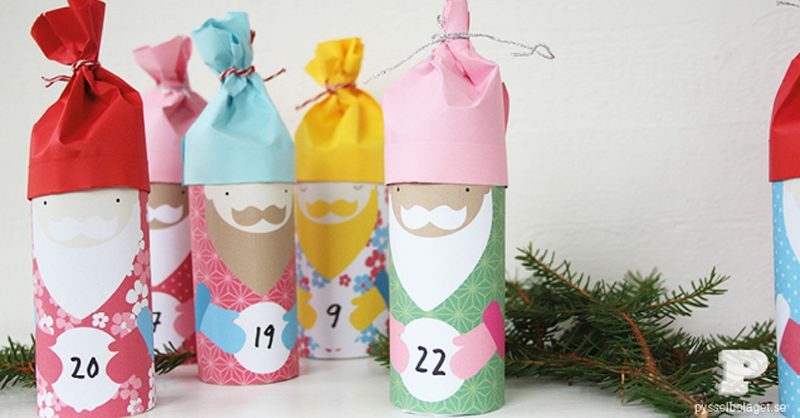 The countdown for the big man in red’s visit is nearing a start but if you haven’t found an advent calendar yet, never fear, there’s still time to craft your own! 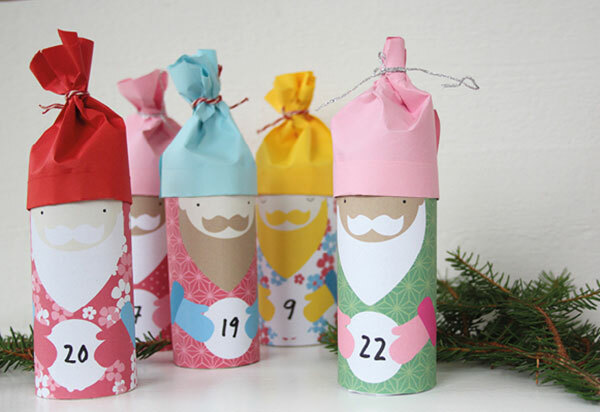 With a little crafty know-how and some great tutorials, you can make something pretty special yourself, so click on through to find ten of the most merry and bright DIY advent calendars. 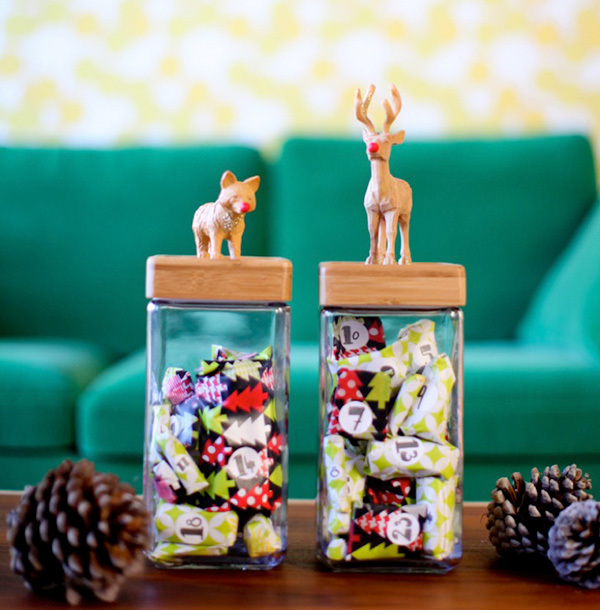 This simple advent calendar in a jar from This Little Street is super sweet – and it doesn’t take up a lot of room on a mantle or bench, which is a definite bonus at this time of year. Those toilet paper rolls that you’re constantly picking up and tossing out? 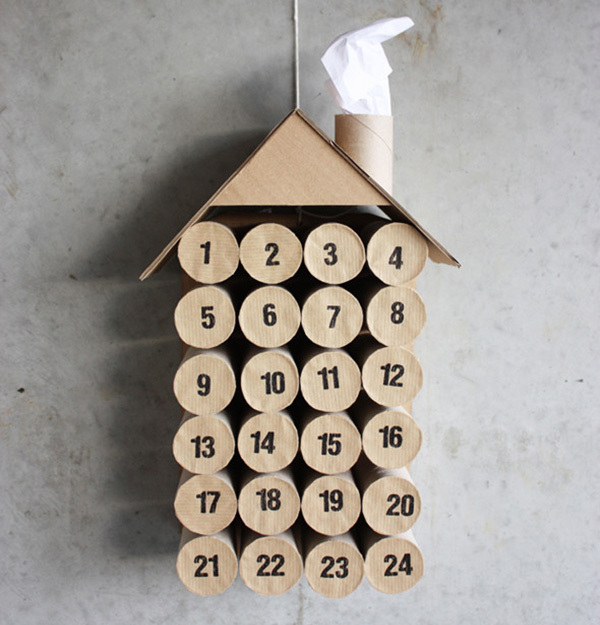 Time to keep them – and possibly pester your neighbours for theirs (if you’re good friends) – and time to whip them into a craft frenzy with the suave looking Toilet Paper Roll House Calendar from Morning Creativity. 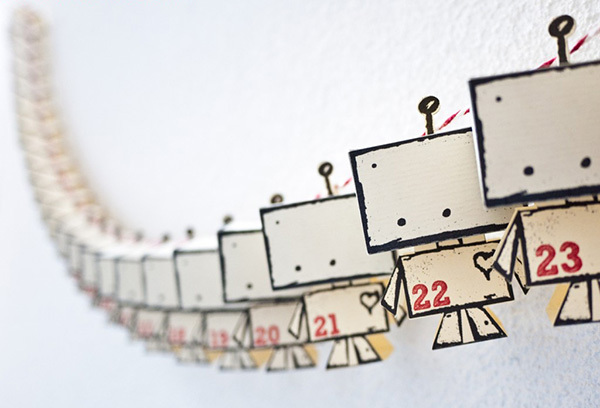 Robot lovers will get a festive kick from these cute fellas, A Little Robot Advent. You can find the detailed download and tutorial from Next To Nicx. Now I know this one looks time consuming because it’s just so darn sweet, but I think you’ll be pleasantly surprised. 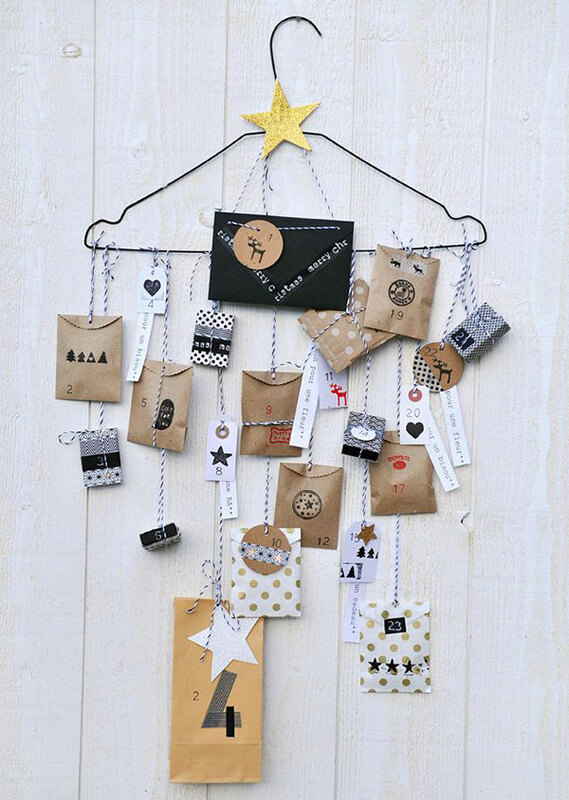 A cute display in itself, you can find all the details for creating your own Mini Tree Advent Calendar at Oh Happy Day. If you only start thinking about getting advent-calendar-creative moments before December 1, this is the calendar for you! 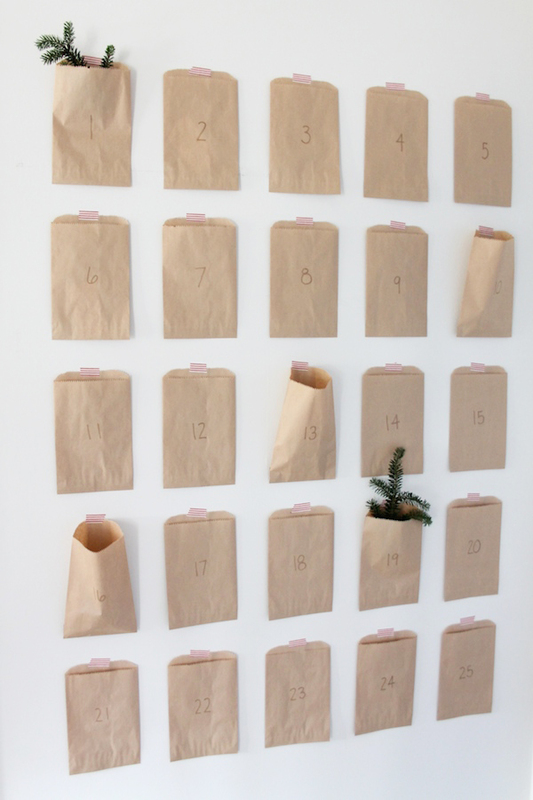 The Last minute advent calendar from Julie Blanner may be simple to create but that doesn’t mean it’s lacking wow factor. I adore this idea from Fox & Star. 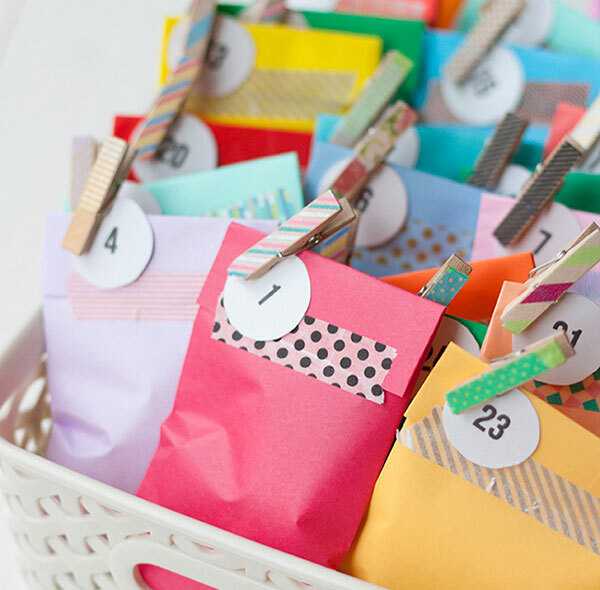 A basket of advent anticipation, head to your local party supplies shop and purchase some washi tape and colourful treat bags to let the colourful bags do all the talking – and treat giving. Never underestimate the usefulness of the humble coat hanger. 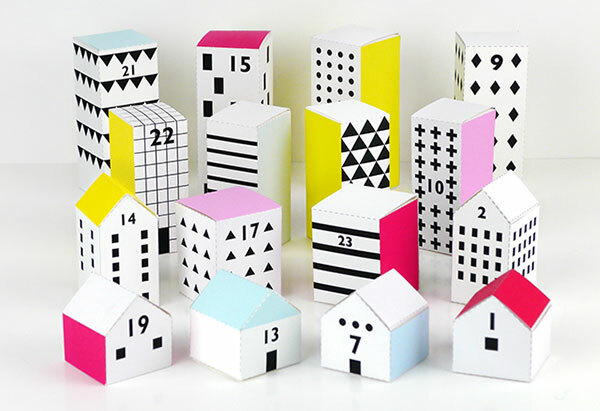 I had instant advent envy as soon as I clapped my eyes on this brilliant advent calendar from Modes & Travaux. 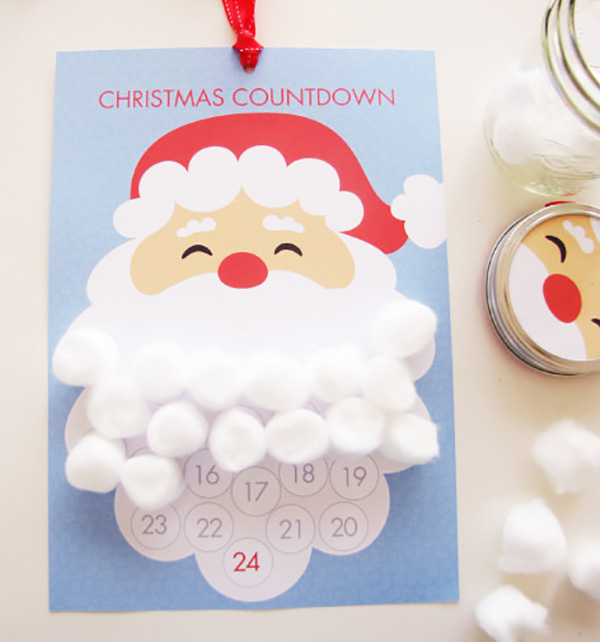 Babyology favourite, Mr Printables also delivers the Christmas goods with their beautifully bright Christmas Street Advent Calendar. 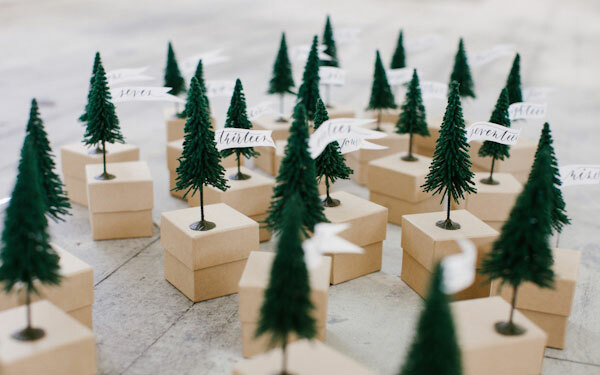 You can create your own advent avenue with just some handy cutting skills and your printer! And in more of our 101 ways with toilet paper rolls diaries, I give you these rather magnificent toilet roll people from Pysselbolaget. A simple printed download covers the toilet paper roll and a carefully crafted hat conceals a daily treat. For children who should be steering clear of edible treats, this is a cute countdown activity for littlies to get stuck into. You can find the free printable at Tomfo. We’d love to hear what treats you use for your children’s advent calendars, let us know on Facebook!